Hello! We offer both 1:1 and our NEW Shared Personal Training memberships which give you an unlimited Personal Training service and nutritional guidance for a monthly membership at our gym based in Wetherby. Our complete fitness solution is effective, time flexible and affordable and there are no joining fees OR contracts. 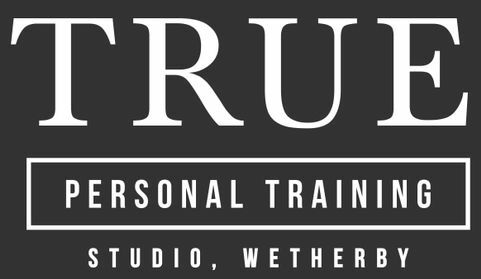 So whether you are looking to lose weight, get back into fitness after a long time, or improve your sports performance, it all starts with a free consultation in our new, high spec and friendly, Wetherby based gym. Our Shared Personal Training memberships are a fun, effective and affordable way to get all the guidance and advice you need. They provide a complete fitness and nutrition solution that allows you to book in for unlimited sessions at any time that you choose within opening hours. You simply share the Personal Trainer's time with a maximum of 3 other members at once. You don't need to bring friends or create groups, just book in at a convenient time for your schedule and our Personal Training team will be ready. You always work on your own personal programme under the expert eye of a Personal Trainer. Our model saves you time, money and gets you where you want to be. Your membership starts with FREE consultation and gives you unlimited Shared Personal Training sessions, nutritional guidance, bespoke programming, accountability and ongoing support, all for a monthly membership. We remove the uncertainty around nutrition and training, meaning you can focus on achieving your goals. It all starts with a FREE consultation. No sign up fees or contracts. Whether 1:1 or shared it all starts with a free one-to-one consultation and taster session to understand your goals and plans. Our expert team create your bespoke programme using the most effective methods to reach your personal goals. This means you are always on track and always challenged. Book in for an unlimited number of sessions (at a time of your choice) where an expert personal trainer will guide you through your own bespoke workout, alongside no more than 3 other members to one Personal Trainer. You receive ongoing support, accountability and nutritional guidance to keep you on track and support your progress. We review and renew your programmes constantly as you go. Book a free consultation and taster session to help us understand your goals and plans. We create your bespoke programmes using the right methods to reach your goals meaning you are always on track and always challenged. Book in for an unlimited number of sessions where an expert personal trainer will guide you through your own bespoke programmes alongside no more than 3 other members to one PT. We remove the uncertainty around training and nutrition. Our Shared Personal Training gives you the guidance and advice you need to always be moving towards your goal. Always with a Personal Trainer, every time. Everyone has different goals, requirements and starting points. We focus on you so it’s always your bespoke programme, working on your goal under the expert eye of a Personal Trainer. We know the world of nutrition can be overwhelming. We keep things simple. We don’t do fads and we don’t do diets. We get you eating smarter, training more efficiently and thinking differently via our educational module system, seminars and nutrition clinics. Fancy an extra session this week? No problem just book in and our Personal Training team are here for you. Is your diary busy? No problem, create your own schedule and book unlimited sessions at times of your choosing within our opening hours. We are a friendly community of trainers and members with a common goal. Whether you are looking to lose weight or get healthy for life, we have a culture of working hard in a social and fun environment. Our 2500 sq. ft. facility has been designed and fitted by Origin Fitness. With your comfort in mind, we have personal changing rooms, a training towel service, free fruit and coffee area amongst other perks to make your experience comfortable.